At grade and truck height loading at rear of building, tenant parking at front, 5,112 SF bay (36′ x 142′) minimum area bay, 24′ clear height. 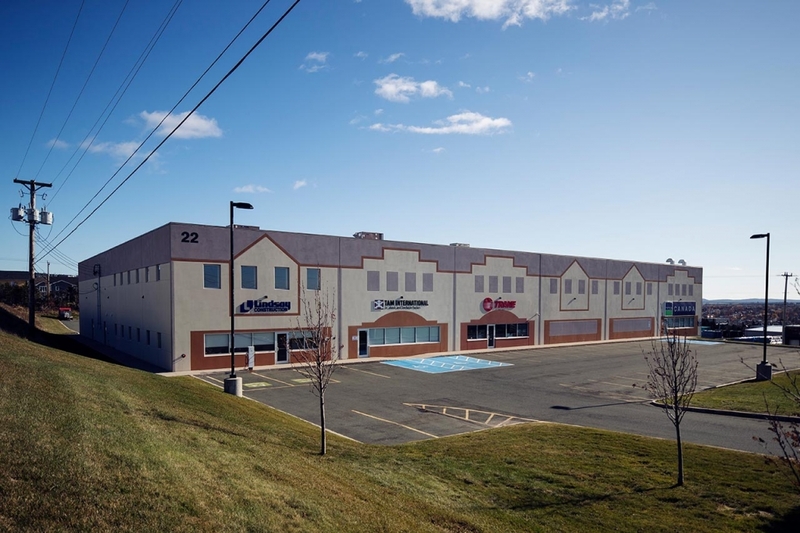 Beclin Business Park is a newly built industrial subdivision in Mount Pearl. With immediate proximity to the TCH Outer Ring Road and the Route 1 Arterial Highway, the area is the centre of oilfield service and supply industry in Eastern Canada. The Business Park comprises six tilt-up concrete buildings varying in size between 2,916 and 5,687 square metres. The buildings are designed to accommodate a wide range of tenants and can be adapted for many uses. 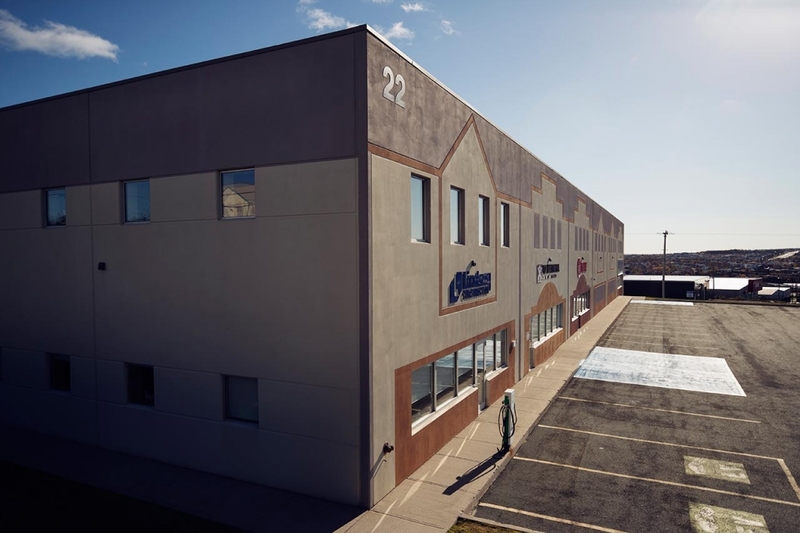 They are also, uncommonly for warehouses, built with windows to provide natural light. Beclin, in Mount Pearl, is the first business park in Newfoundland and Labrador to be LEED® Certified. That’s a whole lot of green thinking, including natural lighting, high insulation values, managed energy, and recycled building materials. The prestigious Leadership in Energy and Environmental Design certification is a rating system recognizing environmental excellence in over 160 countries. LEED® works because it recognizes that sustainability should be at the heart of all buildings – in their design, construction, and operation. Since 2004, the CaGBC has certified over 2,800 LEED® buildings in Canada and registered over 5,000 – with the second-highest number of LEED® projects anywhere in the world. 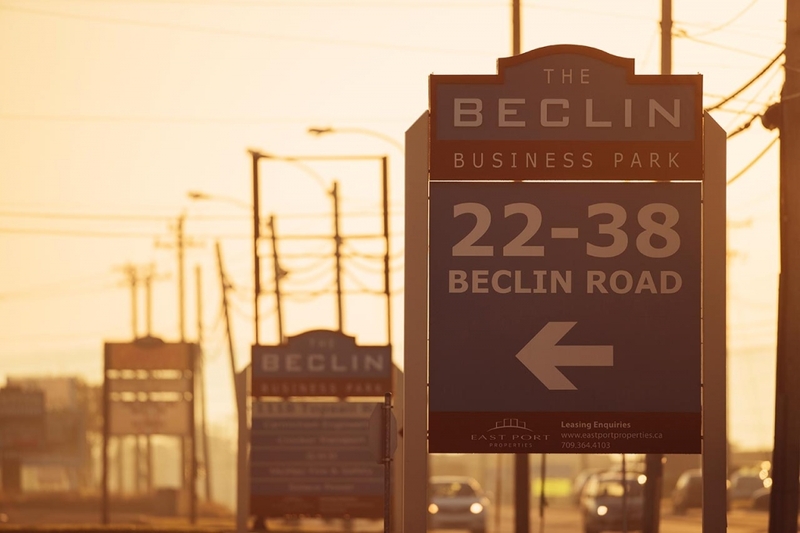 All the buildings in Beclin Business Park have been designed with natural lighting so that most operations can be carried out without the need for artificial light, saving both energy and money, and making them more pleasant places to work. The windows are equipped with filtered panels to diffuse natural daylight so that contents are protected. The buildings are designed and built for NL weather conditions with high insulation values including underfloor insulation. Automated energy control systems manage energy allowing for time-of-day and occupancy management. All materials used are chosen for their recycled and regional content. Waste materials leaving site are tracked to divert approximately 80% from landfill. Ceiling-hung HRVs provide high-quality, energy-efficient ventilation. Day-lighting provides a more natural and comfortable work environment. Lockers and shower facilities accommodate the needs of commuters. Preferred car parking for carpoolers. The Beclin buildings are designed to reflect the appearance of traditional NL row houses. The spaces are adaptable to many diverse uses with loading door and racking dimensions built for efficiency of use, truck turning radiuses, interior height for racking, and efficient column spacing.